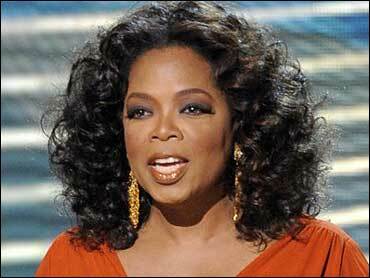 Oprah Winfrey is 'fessing up about her love of Cape Cod pies. After a spokeswoman for her production company denied that Winfrey had purchased a selection of pies from the Centerville Pie Co. while in Massachusetts last week for Eunice Kennedy Shriver's funeral, the talk show mogul called the Cape Cod Times on Wednesday to say, yes, "the pie-gate escapade actually did happen." Pie company owner Kristin Broadley said she delivered a chicken pot pie to Winfrey's traveling party last week, then followed with two more orders. Broadley says she delivered a total of 20 pies, including chicken, custard and banana cream, to Winfrey's crew. Broadley says a mention of the pies on Winfrey friend Gayle King's radio show has sparked a flood of orders for her company.